Nature always fascinates me and giant trees that have lived for hundreds of years are real wonders. They have seen the history in the making and must have witnessed so many wonderful things. 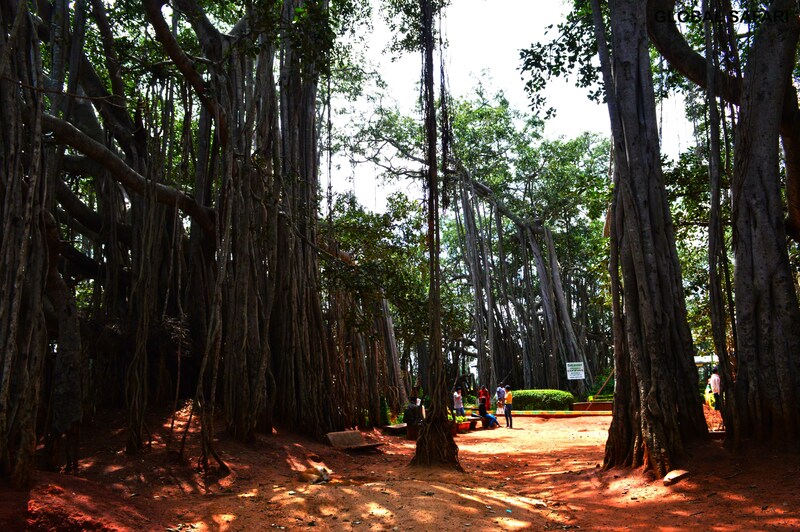 There is such a tree, popularly known as the Great Banyan Tree, near the city of Bangalore in Southern India. Spread across an area of around 4 acres, the tree is more than 400 years old and its crown circumference is more than 250 meters wide. 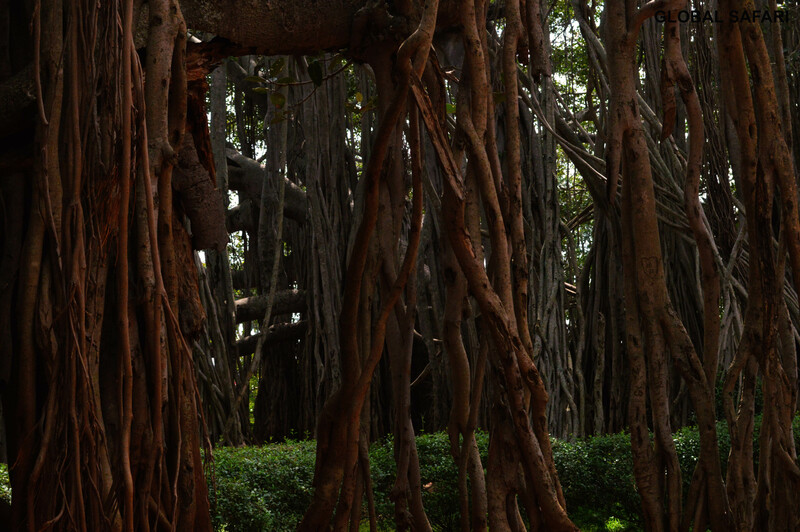 The maze of aerial roots. 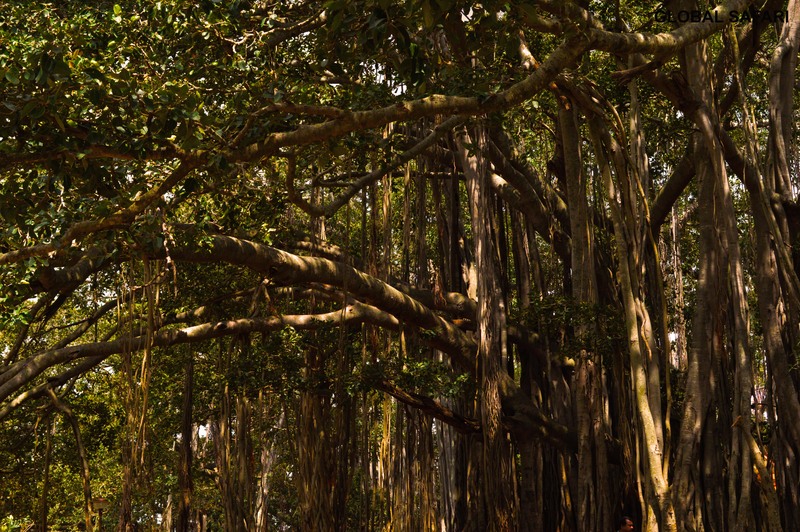 Called the Dodda Alada Mara in the local language, it is hard to imagine that this is just one single tree. The main trunk of the tree is long dead but it is still lush and green, thanks to its thousands of aerial roots, which in themselves appear like huge trunks. 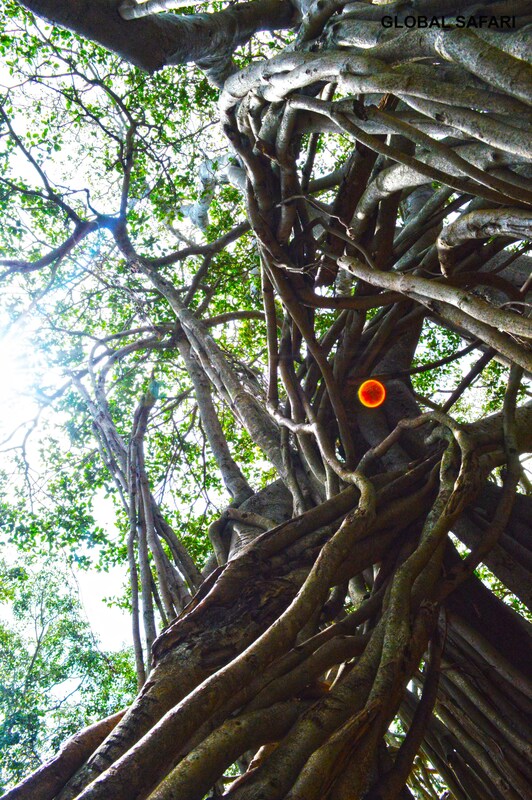 The botanical name of the tree is Ficus Benghalensis and the whole tree actually appears like a small forest. 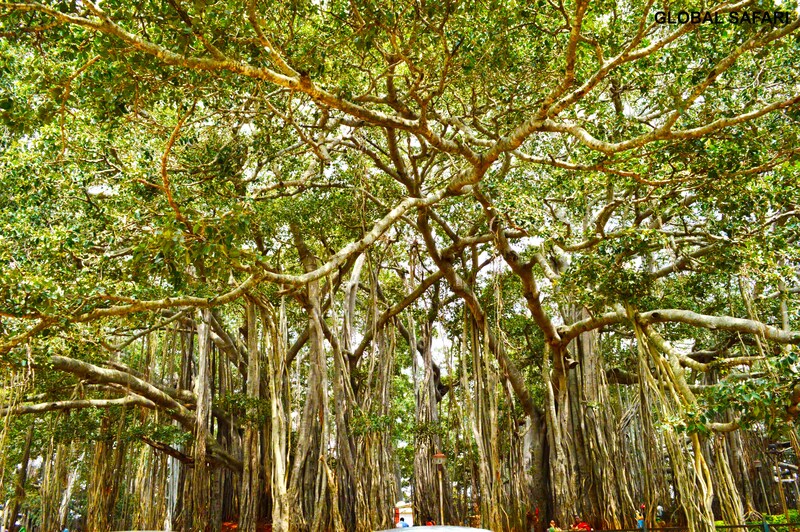 This is the fourth largest tree in India after the world’s biggest banyan tree at Thimmamma Marimanu in the state of Andhra Pradesh, the Banyan Tree at Botanical Gardens of Kolkata and Adyar tree at Chennai. The horticulture department who maintains the tree reports that it is still spreading in every direction and crown circumference gets increased by at least two to three feet every year. Just one aerial root..There are thousand more.. I love that tree!! Thanks fur posting!! Easy to see why anyone would believe the tree has divine powers! Must have been an awesome experience to have actually been there! Thanks for taking you readers with you! Great that you liked the post…Thank you very much…. I’ve been meaning to check that out. Incredible! Hard to imagine one tree spreading over 4 acres. Thanks for showing us. I thought this post was worth reblogging. It compliments my post “I Am Sequoia” very well. Global Safari is right, nature is just too fascinating. It is such a great way to break away from our overly-busy lives. Lovely post! We saw one of those in the botanical garden on Guadeloupe. Not nearly as big as this one, but still very impressive! I am so happy that you liked the post….Thanks.. This one reminds me of my article written for the school magazine.It was about a Mango tree in the school ground and how bad we felt when it was cut down.It’s simply amazing to see how we are connected to nature. Lovely post! To be honest I will be scared!!!! Wow, your photos are beautiful and your descriptions are a great addition. Thanks for sharing! Thank you so much…..It really feels great to be appreciated like this way….